Adobe Systems Incorporated is an American Transnational company operating on diversified software company with headquarters in San Jose, California, United States. The company was established by John Warnock and Charles Geschke in December 1982. The company offers software's for desktop and server, web designing programs, video editing and visual effects, e-learning software and organizational software. The company has won awards such as one of the world's Ethical Companies, Adobe ranks No.10 among Germany's beat employers, ranked as one of the greenest companies by US Newsweek magazine. Adobe has been ranked as the outstanding place to work in by Fortune since 1995. There are currently 0 consumer reviews about Adobe available. Share your review. 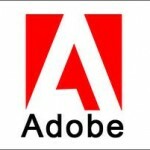 Please take a note that you are about to post a public review about Adobe corporate office on CorporateOffice.com. This review will be public, so please do not post any of your personal information on this website. If you would like to contact the corporate offices of Adobe, please use their contact information such as their phone number, website, and address listed above to contact them. However, sometimes staff from Adobe headquarters do read the reviews on this website.